The historic year of uprisings and revolutions has reached the end of the line. In Iran, and many other countries, the 2011 started with “Hope” and many tried to take ‘hope’ out of their Pandora’s box. Since when it was opened for the first time and all disasters were taken out of it and filled the world, Pandora’s box has become useless, and often is empty. Now, all people have their own empty Pandora’s box, and every now and then they put their hope in it and close the door. In fact, Pandora’s box has become a grave for Hope. The world is already full of disasters and horrible problems, and when many people put their hope in their Pandora’s box, the world and the life become a real nightmare, a pure hell. But when the people open their Pandora’s box and bring out “Hope”, like what they did in 2011, the world and the life become more tolerable. In 2011, many people in all around the world, from the Arab world to the US and Europe, brought out “hope” and went to the streets and fought for ‘Change’ and ‘Fresh Air’. In some countries, like Libya, Syria, and Iran, asking for ‘change and fresh air’ had a very high price and resulted in ‘Blood Bath’. The world helped the Libyans and they could save themselves, but Syrians, Iranians (that their struggle has started since 2009) and others just had “Blood Bath” and paid a very high price, without any outcome. The case of Iran was different from all other cases, because the Iranians hate the Islamists and are anti-Islamists, while all other nations in the Middle East and Africa are Islamist or pro-Islamist. Many thought this key difference can encourage the world and its leader to help Iranians, at least as much as they helped the Egyptians that were Islamists. But the stupid Obama and other hypocrite western leaders clearly proved that the Mullahs and the Islamists are their key friend and key alley. In fact, they need a straw and fake enemy to justify their awful policies, and also to deceive public opinion, and which straw enemy and fake enemy is better than the Mullahs? The Mullahs destroy Iran and disgrace Iran and Iranians and make a hell in Iran, and in this way make the stupid Arabs and other bastards happy. The Mullahs play the role of “the enemy of the west”, while tens of thousands of the high rank Mullahs and their families and their agents live in the west and invest the embezzled money there, and make love with the western politicians in the North America and Europe. It’s a great tragedy. The apparent paradoxes of the west, and the signs of their hypocrisy and double standard, are more than what we have written about it in this website. What you can find in our archive, is just part of the tragedy, but unfortunately many people are still ignorant and naive. They are blind and can not see the truth. Unfortunately, many are like sheep and only follow the fashion or what the media and the fake intellectuals dictate to them. The stupid lefts and some like Chomsky are their hero, and they are not aware of what happen in the world. They live like sheep, and the whole world pay its price. When many people still are idiot and live like sheep, the world can not be a better place. 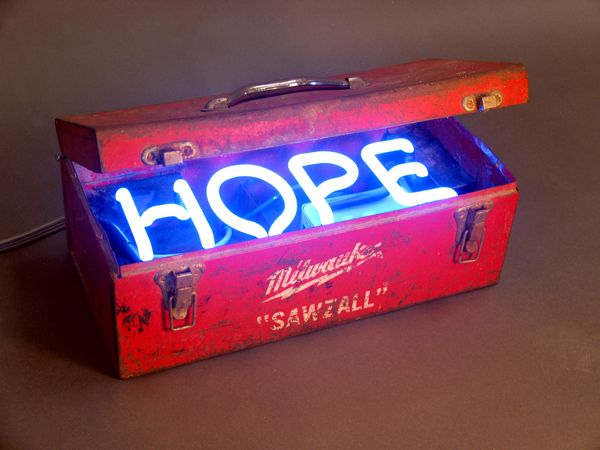 And that’s why many people put their “hope” in their Pandora’s box in the last months of 2011. Many Iranians and non-Iranians lost their hopes again. Now, ‘Hope’ is in Pandora’s box, while some try to close its door and some try to keep it open. As you can see in our archive, the 2011 was full of great events. The tragedy of Libya and Syria, and the bitter story of OWS, UK riots, Greek protests, Spanish protests, Russia, North Korea, etc were just part of these great events. Many people are unhappy and want ‘change”, and if they don’t bury their hopes in their Pandora’s box, and continue to fight for ‘Change’ and a better world, they can succeed. The world has many global problems, like the great problem of the idiots and those who live like sheep, the problem of the hypocrite mass media, the problem of the fake intellectuals, the problem of the corrupt politicians, the problem of the greedy rich, etc. But these problems are solvable problems. Even the problems of Iranians and some other nations, like the tragedy of brutal dictatorship, lack of basic freedoms, lack of basic rights, the tragedy of basic needs, the corps of mercenaries and traitors, the dreadful hypocrisy, the horrible betrayals, the brutal suffocation and suppression, etc are solvable problems. Just the wise people and the good guys in all around the world should help each other. They can solve these problems. But unfortunately, many people in the free world can not understand the true meaning of many problems. They can’t understand the roots of their own problems and the true meaning of our horrible problems. It’s so dangerous, because the history can repeat itself and the people can repeat the great mistakes. Some problems in Iran are so unique, but the world should know them, learn form them, and help solve them. The bitter story of the Iranian baboons and those who betrayed the Iran’s people was a unique story. More than 4 million Iranians live in the west, but the majority of them are among the Iranian baboons and the dumbest people in our planet, and it’s a great tragedy. These stupid bastards still live in 1970s and 1980s, and still think Stalin, Pahlavi, etc were great leaders, or Communism, Monarchy, or Theocracy are great systems. The Iranian baboons betrayed Iranians inside Iran. The Iranian baboons have imposed a silent war on Iran and each day thousands of Iranians die of the silent war; they are the silent victims of the silent war. The Ashura traitors said that Iranians should not go to the streets and the street protests are enough. They deliberately tried to prevent the non-violent protests – general strike, sit-down strike, daily protests, etc- and suffocated the voices of Iranians inside Iran. The Iranian baboons and the Ashura traitors said that the non-violent protests is not the solution and Iranians should wait and accept the silent death. It’s exactly what the Iranian baboons and the Ashura traitors did and said (check Archive). These stupid bastards not only betrayed the people and the victims, from the martyrs to the wounded people and those who are tortured in the prisons, but they are the main responsible for any war, any violence and any disaster in the future. The Iranian baboons and the Ashura traitors that said Iranians don’t need any effective non-violent protest, and asked the western politicians to not help Iranians and their anti-Mullah movement, are traitors and mercenaries who are the main responsible for any war or any violence in the future. In 2011, all Iranians inside Iran, even the stupidest people, could see the true colors of the Iranian baboons, and it was a good news. Now, the Iranian baboons, from Khatami, Ganji, Abdi, Behnoud, Nabavi, and Mohajerani to Pahlavi and Mr. Balatarin, are so disgraced and discredited in Iran. Now, many people know that these bastards are the main responsible for the death of Green Movement, our horrible situation in Iran, and any war or any disaster in the future. In 2011, we tried to update here on a daily basis. Even when many people were depressed or disappointed, we updated here daily. It was a very hard job. The tragedy of the internet in Iran -that we have already written about it, and it recently has reached its peak again- was a very big problem; The tragedy of public depression, disappointment, and frustration was a very big problem; The tragedy of suppression, surveillance and suffocation was a very big problem; The tragedy of the economic crisis and the horrible living conditions was a very big problem; But despite all of these horrible problems, we updated here on a daily basis. I don’t know what will happen in 2012. There are many horrible problems in Iran, and the depression, the disappointment and the betrayal are just part of our great tragedy here. The 2011 was a unique year that started with ‘global hope’. In the new year, we will try to update here at least on a weekly basis, several times a week. There are many important things that should be written. What will happen to the Iran’s people or what will happen in the future is unclear, but I think the main message of this website and other people websites to the outside world is: “We exist. If we are silent and don’t speak our minds, it doesn’t mean that we don’t exist “. In fact, the silent majority in Iran, that the corps of the silent intellectuals are part of it, exist and they are watching the world and the Iranian baboons. It’s so obvious that the silent majority are the determining factor, and they create the true images of today’s Iran and shape its future. Iranians have an old saying: “Har Bishe Goman Mabar Ke Khalist, Shayad ke Palang Khofte Bashad”, that in this case means: “when the people are silent, you should not think that they don’t exist and you can do whatever you want to do, maybe the people (the lions and the leopards) are watching you”. When the people are silent, it doesn’t mean that they don’t exist. The silent majority in Iran and the younger generations of Iranian intellectuals are watching the Iranian baboons and the western politicians. They clearly say: ‘We can be silent, but we exist and we are watching you, laughing at you, and spitting on you’. If the people are silent or they are suffocated, it doesn’t mean that they don’t exist. The silent majority in Iran are modern and anti-Islamist, and that’s why the Mullahs and their mercenaries are frightened to death of them. The silent majority in Iran is really a very huge bomb. We hope the stupid bastards don’t play with the silent majority’s bomb more, because if it exploded, it not only would destroy many things, but it would send the Mullahs, their Islam, the Islamists, the western mercenaries and the Iranian baboons to hell for ever. The world should know more about the silent majority in Iran, and should understand this simple fact that the majority of Iranians inside Iran are at least as modern as the people in the modern world. The majority of Iranians are young, educated, anti-Islamist, and modern, but unfortunately the world and the world leaders betray them. They are suffocated, and the mass media censor their voices, but they exist. The silent majority in Iran have many small websites and small web pages, like ours, that their main message is: “We can be silent, but it doesn’t mean that we don’t exist“. This entry was posted on Friday, December 30th, 2011 at 8:48 pm and is filed under Comments and Readers, Revolutions of 2011, Thoughts and Ideas. You can follow any responses to this entry through the RSS 2.0 feed. Both comments and pings are currently closed.